As you get ready to pick out the wine to serve with your holiday dinner or the liquor to make your favorite holiday cocktails, then make sure to consider Noble Vines and Deep Eddy Vodka! Noble Vines is a portfolio of wines that are crafted from grapes grown in sustainably farmed vineyards in Monterey and Lodi, CA. Noble Vines harvests six sophisticated varietals, including 337 Cabernet Sauvignon, 181 Merlot, 446 Chardonnay, 667 Pinot Noir, 1 Red Blend and 242 Sauvignon Blanc. The packaging is sleek and modern, so it’s the perfect bottle to gift or sip at any holiday party. From a beloved Chardonnay vine that produces brilliant fruit with rich, mouthwatering flavors. Enfold yourself in this feast for the senses from Pinot Noir 667, a vine selected from Dijon, Burgundy. A treat! Zesty Sauvignon Blanc from the vine stock that made Sauternes and New Zealand famous. All these varietals from Noble Vines are perfect to serve with your holiday dinner, after with dessert or any time throughout the night as you play games, reminisce or watch your favorite holiday movie! 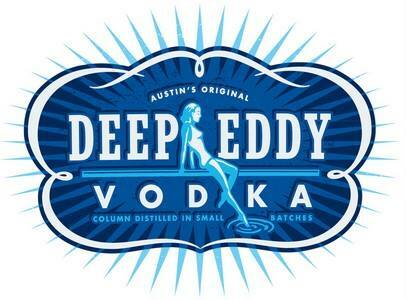 Deep Eddy Vodka is a line of vodkas that captures the authentic spirit of classic Americana with a deep commitment to quality. As the fastest growing vodka in the U.S., Deep Eddy crafts its vodkas in its own distillery outside of Austin in small batches using real, natural ingredients to create its flavors, including Ruby Red Grapefruit, Lemon, Cranberry and Sweet Tea. Deep Eddy is perfect for holiday cocktails while going out or entertaining at home with friends and family. Each Deep Eddy flavor pairs well with simple mixers to create delicious, refreshing cocktails for any holiday occasion. Some of my favorite varieties include Lemon, Cranberry and Sweet Tea! They are full of flavor and are perfect to make a tasty holiday cocktail. You can purchase Noble Vines and Deep Eddy Vodka from your local spirits retailer.